New Jersey Lawyers Category Archives — New Jersey Divorce Lawyer Blog Published by New Jersey Divorce Lawyers — Aretsky Law Group, P.C. 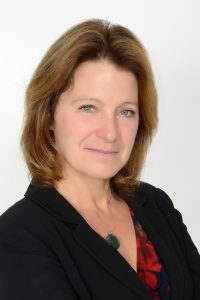 N.J. Divorce & Family Law Attorney, Christen Kohut Gross, Esq., Joins Aretsky Law Group, P.C. Aretsky Law Group, P.C., is proud to announce the addition of Christen Kohut Gross, Esq., to our staff. Christen Kohut Gross, Esq., who recently joined the staff at Aretsky Law Group, P.C., earned a B.A. from Fairfield University in Fairfield, CT, and a Juris Doctorate from Seton Hall University School of Law in Newark, NJ. She served as a judicial law clerk to the Honorable Harry G. Carroll, P.J.S.C., Superior Court of New Jersey, Criminal Division, Bergen Vicinage for the 2005/2006 term. In 2016, Ms. Gross was selected as a “Rising Star” by Super Lawyers. No more than 2.5 percent of the lawyers in New Jersey are named to the Rising Stars list. Their selection process can be viewed at http://www.superlawyers.com. In addition, in 2016, the American Institute of Family Law Attorneys selected her to their exclusive list of the 10 Best Under 40 Family Law attorneys in NJ. Their selection process can be viewed at http://www.aiofla.org. More congratulations go out to our very own Natalie Esposito Capano for winning a position on the Allendale Board of Education! In October 2015, Natalie Esposito Capano was awarded with The Peter W. Rodino, Jr. Society Seton Hall University School of Law Excellence in Achievement Award. Our many congratulations go out to her on this incredible achievement. 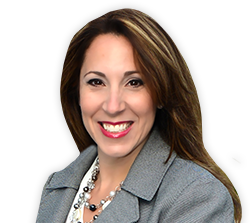 Natalie is skilled in negotiation and mediation and is an experienced litigator with 12 years of experience in complex legal research, including not only divorce law, but workers compensation and real estate law. You can see Natalie’s biography here. We welcome our newest team member, Elizabeth Vengen.